The National Chairman of the All Progressives Congress (APC), Adams Oshiomhole, on Wednesday, called for the resignation of Senate President Bukola Saraki. “But whatever is the reason, we can decamp from the party but we can’t decamp from Nigeria. The only thing is that there are other consequential issues that every man or woman of honour, who had taken such decisions would be expected to follow through. 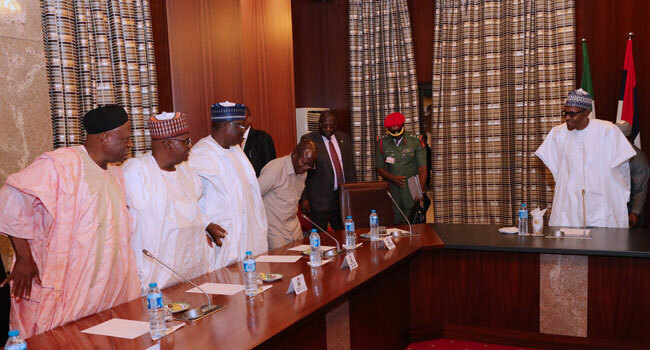 President Muhammadu Buhari, APC National Chairman Adams Oshiomhole, Senate Leader Senator Lawal Ahmad, Senator Danjuma Goje, Senator Abdullahi Adamu and APC Senators at a meeting, in Abuja on Wednesday. 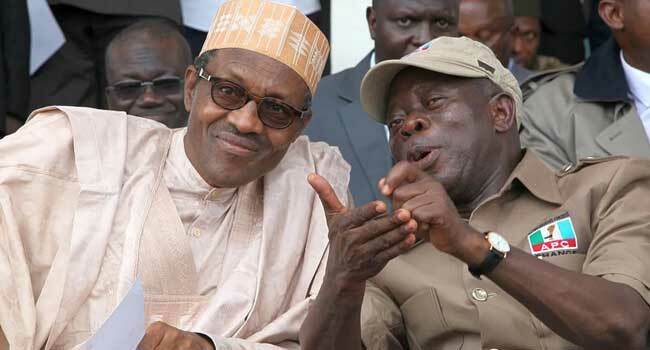 Reacting further to Saraki’s defection, Oshiomhole said there are consequential issues arising from it. He maintains that the ruling party still has the largest party in the Senate. “Nobody in the APC will be surprised about the development, in fact, they have stayed a little bit longer than we thought. Last week the Kwara has State Governor was alluded to have said he was leaving but he didn’t say when. Mr Saraki announced his defection to the Peoples Democratic Party (PDP) on Tuesday. he noted that his decision was necessary so that he could enjoy a greater sense of belonging and the interests of the greatest number of our Nigerians would be best served. Many of his supporters, including Governor Abdulfatah Ahmed of Kwara, and Governor Aminu Tambuwal, APC Spokesperson Bolaji Abdullahi have since joined the PDP.